‘Tis the season of lights, Santa Claus and gift wrap. It's that time of year when Bethlehem once again becomes a hot news story around the globe. The real town of Bethlehem, that traditional site of Jesus' birth, still stands only a few miles from Jerusalem, but these days it's mostly Arabs who live there, not Jews. Every Christmas eve faithful Christians gather at Bethlehem's Church of the Nativity to worship. For many it's a once-in-a-lifetime opportunity to commemorate Jesus' birth in the city where he was born. Maybe it's on your bucket list as well. 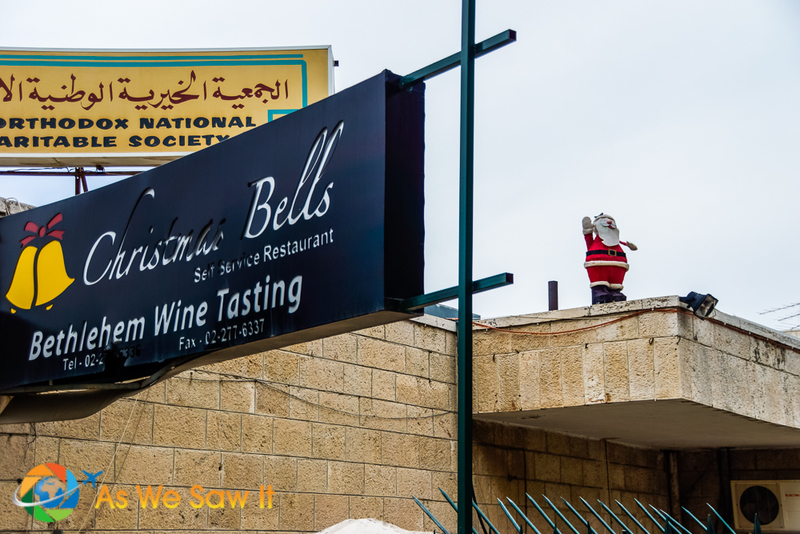 If so, to ensure you get the most out of your visit, here are a few things about Bethlehem that you should know before you go, from entry, to culture, to sites and souvenirs. This is an official border. 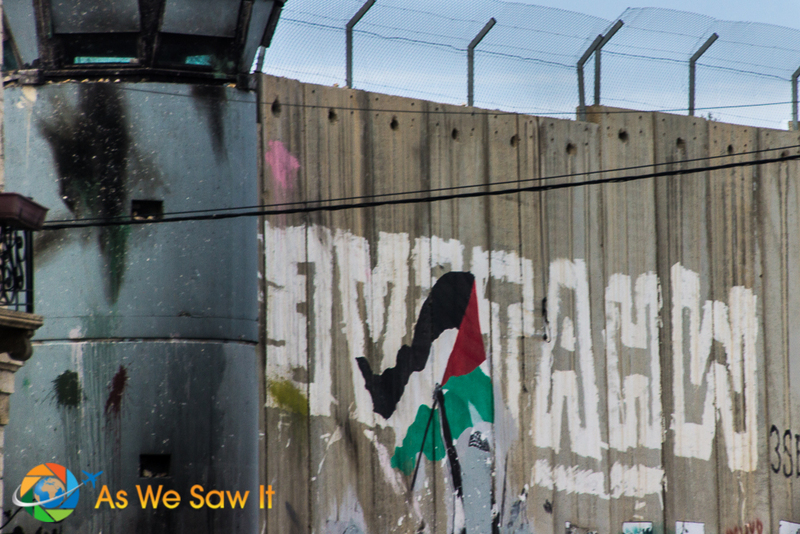 Most tourists fly to Israel and visit Bethlehem on a day trip from Jerusalem (8 km away) or Tel-Aviv. Regardless of entry point, everyone has to pass through a guarded checkpoint with passport in hand. 2. Bethlehem is actually called Beit Lechem. Translated, its name means “House of Bread” (Hebrew) or “House of Meat/Flesh” (Arabic). 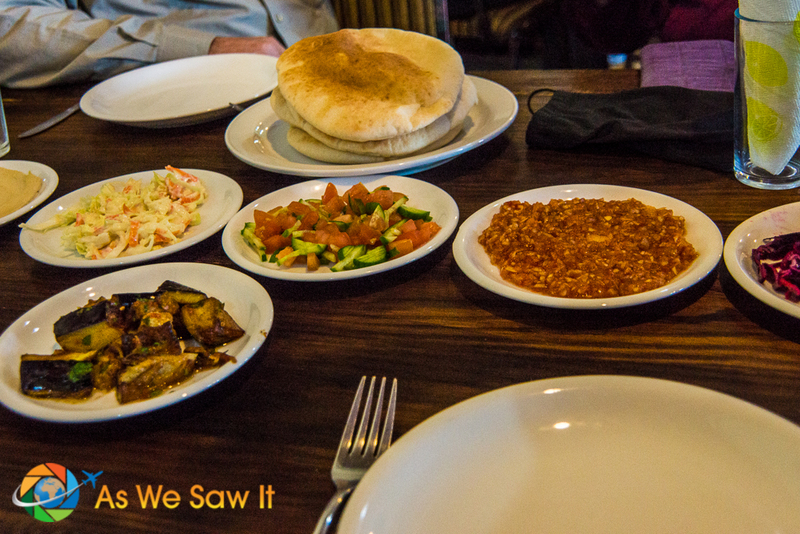 Enjoy the delicious food, and be prepared to spend your entire time in Bethlehem completely stuffed. This is a culture that knows how to feed its guests. 3. 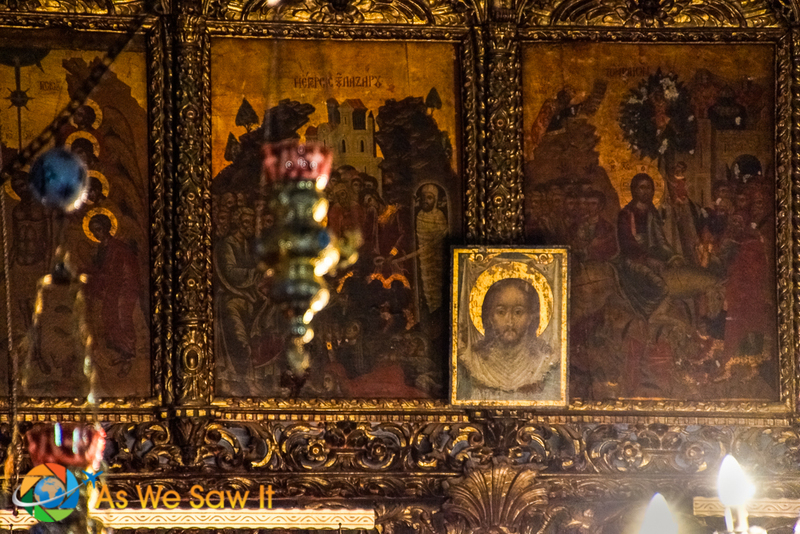 The most visited site is the Church of the Nativity. The church has seen its share of renovations and additions but all the improvements were built around the original structure. 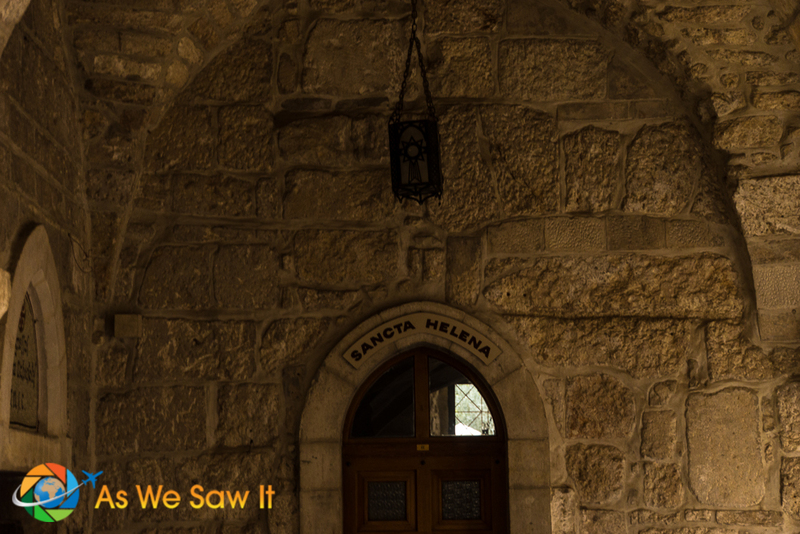 It is the oldest Church in the Holy Land still in use and one of the oldest churches in the world. 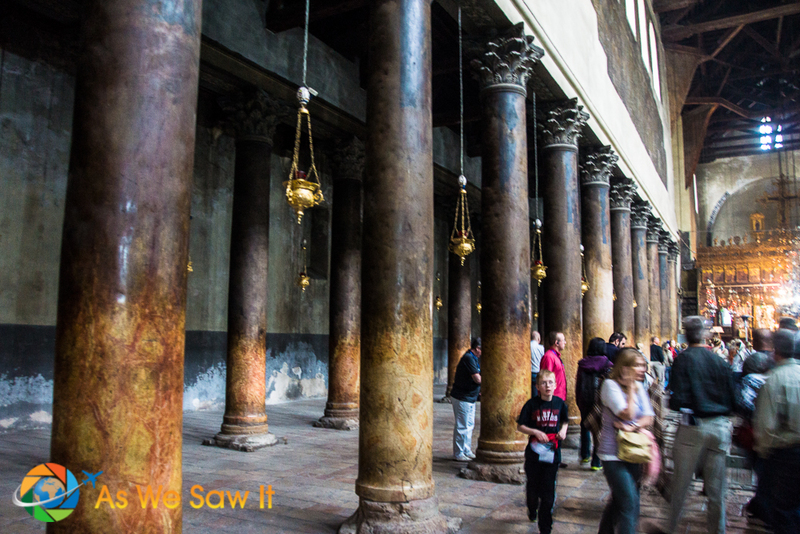 Incense smoke has built up on the upper parts of these columns – the lower parts are worn from people touching them while visiting. 4. The Grotto of the Nativity, traditional site of Jesus' birth, is beneath the church. A 14-point silver star embedded in white marble marks the exact spot where Jesus was actually born. At least, that's what they say. There are always really long lines to see the star, so if you don’t care that much about seeing the actual star, you can opt to visit a different part of the grotto via an alternate route. 5. The Grotto of the Nativity was originally a cave. On the other hand, Jerome claimed that it began as a shrine to Jesus and was later rededicated to Tammuz. Read this article for more about that. 6. The church is jointly controlled by three Christian denominations. Each of them — Armenian, Greek Orthodox and Roman Catholic — controls a different part of the basilica, but nobody gets special treatment. All have equal access to the Grotto. 7. Bethlehem is also the traditional burial site of Rachel. Bethlehem is also a pilgrimmage site due to Rachel's tomb. Rachel was the favorite wife of Jacob, grandson of Abraham. According to the Bible, he was renamed Israel and his 12 sons became the heads of the 12 tribes of Israel. Even better deals can be found on the street, where people hawk huge bottles of water for $1. To do so would result in being ostracized socially. Both family and community are extremely central to Arab culture. Because of this, many Christians and other non-Muslims rely on income from tourists and others in a similar situation. as well as Israeli shekels. This means you can buy souvenirs without worrying about exchange rates. Have fun shopping! 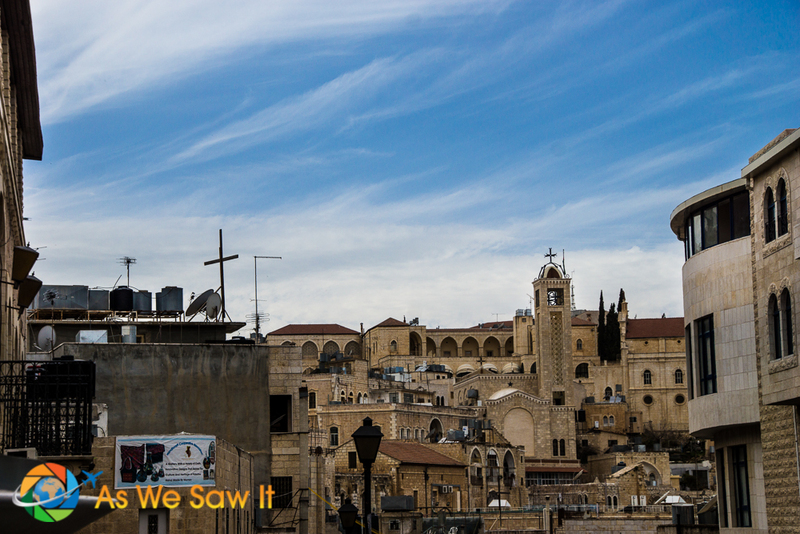 Tip: Bethlehem is a short trip from anywhere in Israel. Click here to read about our day trip Bethlehem. Read more about visiting Bethlehem's Church of the Nativity here. Click here to see the tours from Tel Aviv, Eilat, etc. 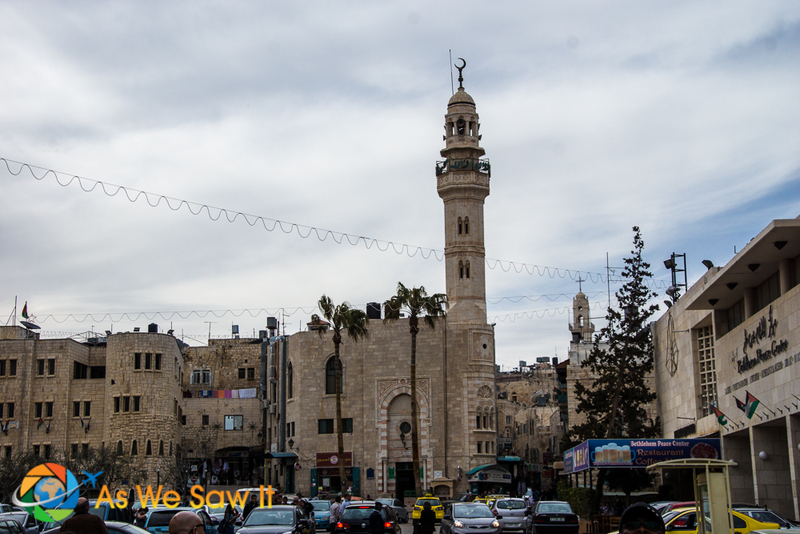 For more sightseeing, see our photo album from Bethlehem. Google Maps offers an aerial view of Manger Square, Bethlehem. Zoom, scroll around and explore! Prepare your taste buds with our list of 8 Healthy Middle Eastern Foods You Must Try. You can read more about the church’s history and its layout here. Dang, missed the Omar Mosque. I’d love to return and explore further afield. It sure is a lot easier when you’re not with a tour group. Thank you for this very rare insight into the ancient city of Bethlehem. It’s definitely a big attraction for the Christians all over the world. We wanted to go to Israel several years ago, but gave up because of the unstable political environment there. I hope you change your minds. Thousands of visitors annually prove it’s a safe destination. And the food … oh, the food!